I snapped these two lovelies up from the Etsy shop, Wishful Printing. This is without a doubt my favourite shop for prints because they have such a huge choice available and it's so cheap. Their prints are just £1.22 each (for an online jpeg) and then it's up to you where you get them printed and how you show them off. I personally use Snapfish for getting things printed as it's really easy to use and is good value - you just upload the photos you want, pick your size and photo finish and then get them delivered straight to your door. Easy peasy! 8x6 prints (the size of the geometric triangle one) cost 40p each and 6x4 (the ampersand one) cost just 11p. I opted for a black and white ampersand print - I don't know what the significance of the ampersand sign is but I just like it. Because I'm just so edgy, yep. And I also chose a geometric triangle print as it just screams minimalist and chic, doesn't it really? 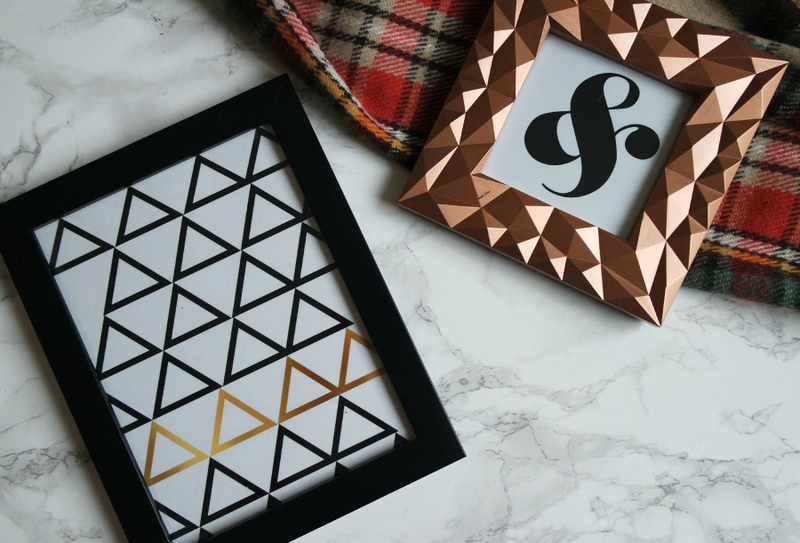 I keep these two frames together on a stand in my living room and I love how well the pop of copper in the geometric print compliments the Primark copper frame. 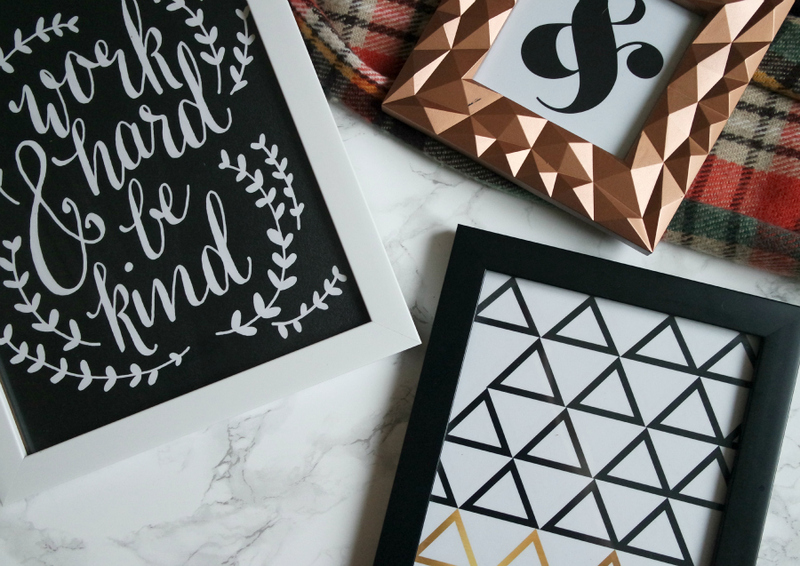 I got the black frame for the Geometric print from Asda for about £3 and the copper frame (how beautiful!?) was from Primark and only cost £2. Defo one of my best homeware finds of the year. This badboy is also from Wishful Printing. 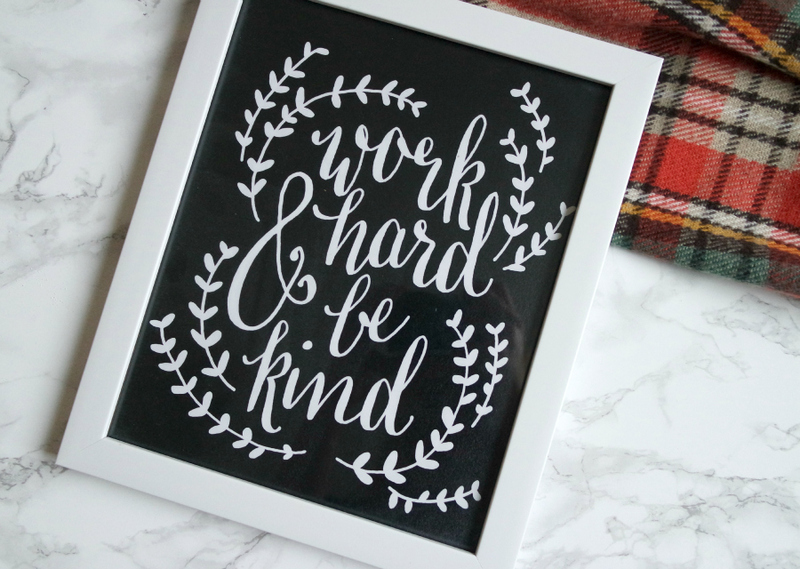 Because everyone loves a good quote, don't they? This print is larger than the other two (10x8) and takes pride of place in my study. I like this quote - I think it's a good moral to live by, dontcha think? The frame is from Asda and cost about £4 and the cost to print a 10x8 on Snapfish is 99p - not bad, eh? I'll most likely be purchasing more prints in the near future so let me know if you like seeing these kinda posts!? What do you think of my prints? Can you recommend any other places to buy them from, too?